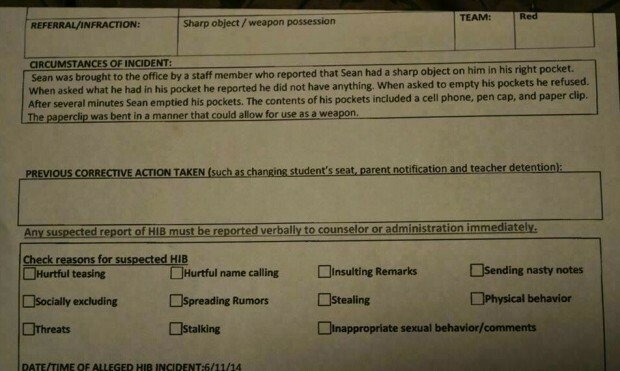 Education Was the ‘Weapon’ This Student Was Allegedly Suspended for Having Even Really a Weapon? Redditors tackled the question over the weekend, after user FatManManFat posted a picture of an alleged disciplinary note to the site on Saturday. Reddit users responded alternately with disgust and skepticism. “Next you’ll hear that a sharpened pencil is too sharp and can be used as a weapon too,” one user wrote.